Perfect location for a Convenient Store. HIGH TRAFFIC COUNT!! Utilities to site, Water retention ponds in place, 70% build-able site, in City Limits. 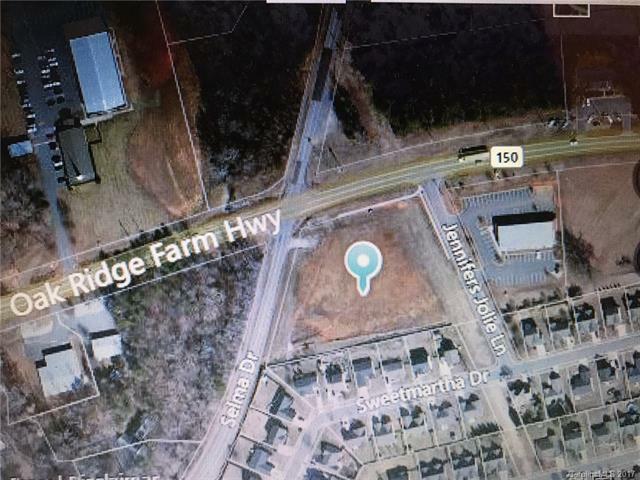 Immediate proximity to a number of new residential subdivisions in excess of 700 acres including Tall Oaks and Cherry Grove as well as established neighborhoods. Major industrial employment area with in one mile and other industrial and commercial employers within 3 miles. Mooresville Graded Middle School 1/2 mile to the East. Very fast growing area. Major industrial employment area within one mile. HWY 150 is the East/West artery between Interstate 85 to Interstate 77. Immediate proximity to a number of new residential subdivisions in excess of 700 acres including Tall Oaks and Cherry Grove.